With less than a month left until the monumental release of the most anticipated film of the year, 'Avengers: Endgame', fans are eagerly counting down the days, hoping to discover how their favourite superheroes overcome the all-consuming threat of Thanos after the devastating defeat at the end of 'Avengers: Infinity War'. In preparation for the film's launch, this week the Russo brothers released 32 promotional posters and a video featurette, driving the dedicated followers of the Marvel Cinematic Universe wild with excitement. These 32 posters show MCU's surviving and fallen heroes; the 16 survivors are featured in colour while the remaining 16 posters, Thanos' victims, are printed in black and white. 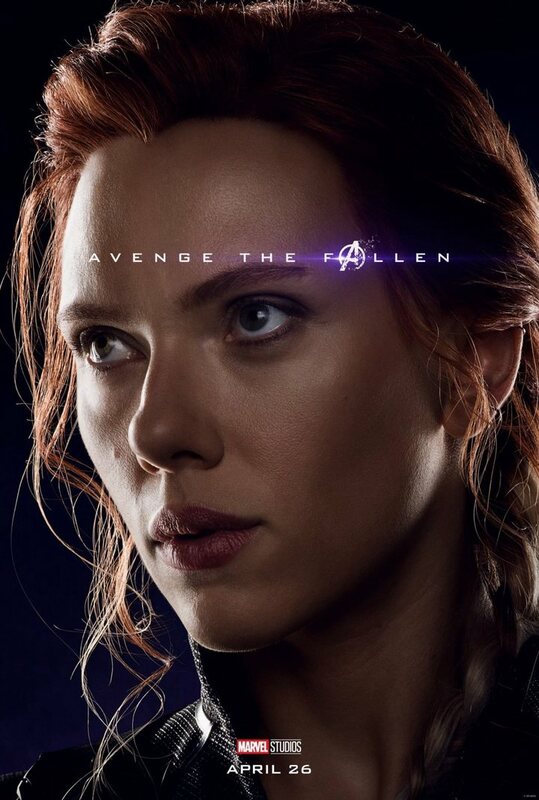 The caption of every poster reads: "Avenge the fallen". Among the characters in black and white are Loki and Gamora, who were murdered by Thanos before his fatal finger snap turned the others to dust. By grouping Thanos' murder victims together with the dusted, could this mean that the victims of the finger snap are well and truly dead? Could this also mean that Loki won't be making a miraculous comeback from apparent death, a trick for which he has already become so infamous? The posters hold several surprises, as well as clues: in addition to heroes such as Tony Stark, Bruce Banner, and Black Widow, all of whom we already know to have survived the 'Infinity War' battle, are characters which were unseen in the previous film, including Valkyria, Wong, and Hawkeye. We can now get excited to see them playing a role in (hopefully) defeating Thanos in the sequel. Another less welcome surprise was seeing Shuri's poster in black and white; Black Panther's younger sister was thought to have survived the final battle but here she is among the fallen, so what could have happened to the Wakanda warrior? As always with the release of 'Endgame' promotional material, fans have been driving themselves wild trying to find any possible clues about the film. With the release of the posters, some people have taken it upon themselves to analyse each image pixel by pixel... quite literally. An apparent glitch in Vision's poster has provoked an influx of theories that the character might not be completely dead; the actor shared an image of his character's poster on Twitter, in which a line of coloured pixels at the bottom of the photo breaks up the monochrome. Could this one line of colour suggest that his software still lives on, somehow? Will the surviving heroes manage to save him? The questions are endless. In addition to the posters, the team also released a featurette commemorating the fallen soldiers of 'Infinity War'. Robert Downey Jr. begins the video saying, "Imagine if, for the first time, our all heroes lost. Thanos had his way and half the population of the universe is gone". The video emotionally recalls the final moments of the great battle, showing our favourite heroes dissolving into dust once again. (No, you're crying...) Chris Evans and Scarlett Johansson also speak in the video, and Kevin Feige acknowledges the emotional connection that fans have built up with the Marvel Cinematic Universe. The video ends on a more optimistic note, however, with Tony Stark saying: "I know I said no more surprises, but I was kind of hoping for one more." These words hold a small ray of hope that our heroes still have a few tricks left up their sleeves; perhaps a big plot twist is coming our way. After waiting a long and painful year to discover what happens in the aftermath of 'Infinity War', fans can expect a more than satisfactory sequel to provide them with all the closure they desire as Phase 3 of the MCU officially draws to a close. Although it has not been officially confirmed by Marvel themselves, the running time of the film was accidentally leaked thanks to AMC cinemas, who revealed it to be a whopping 3 hours and 2 minutes. Anthony Russo has previously responded to rumours about the length of the film's extensive running time, adding that it is unlikely that cinemas will provide an interval: "We've screened the movie four times for audiences now. For the first three screenings, not a single person got up to go to the bathroom." So maybe give the Fanta a miss when you go to buy your popcorn!